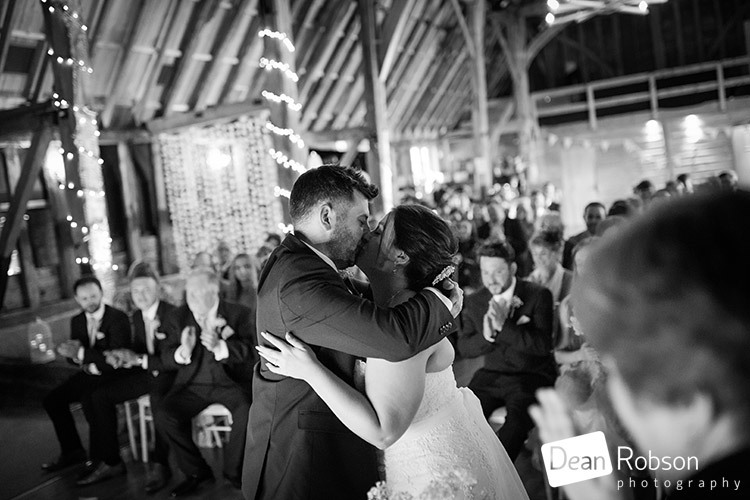 High Barn Wedding Photography Essex: On Saturday I photographed Rachel and Ben’s Wedding which took place at High Barn, Great Bardfield, near Braintree in Essex (http://www.highbarnevents.co.uk/). 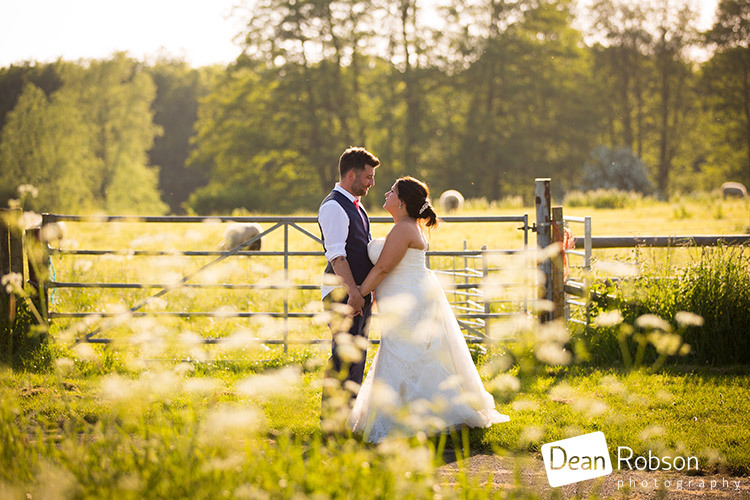 It was my first time photographing at High Barn and the weather was warm and sunny. 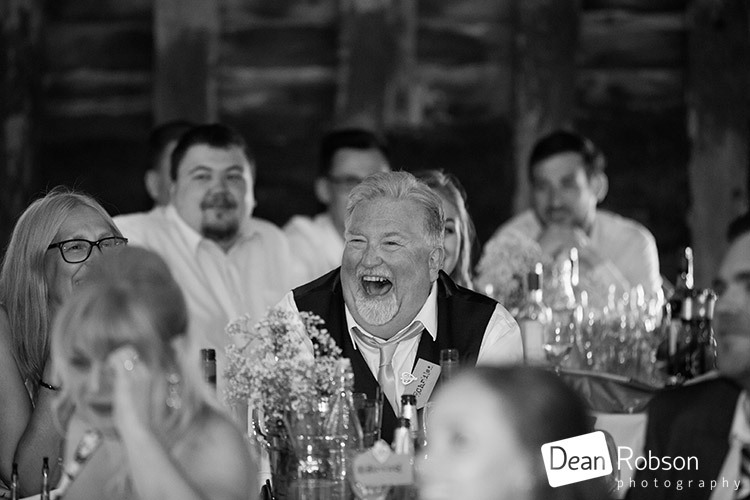 My aim is to capture the real emotion and fun from the wedding without too many posed up shots. 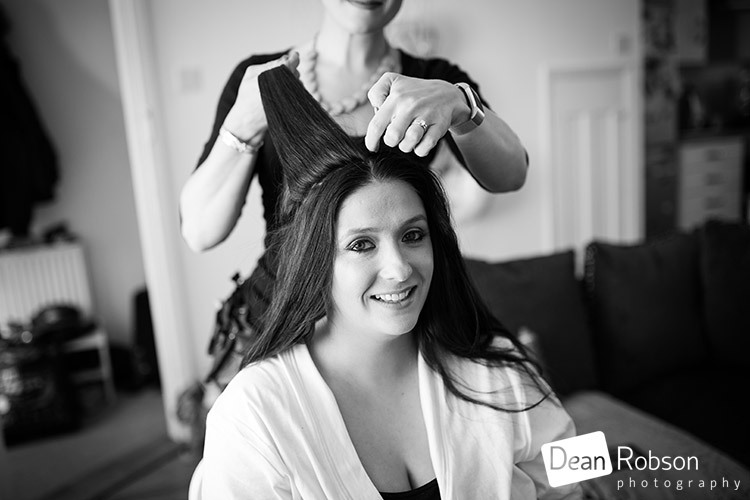 I arrived at the bride’s home for some of the getting ready photographs. 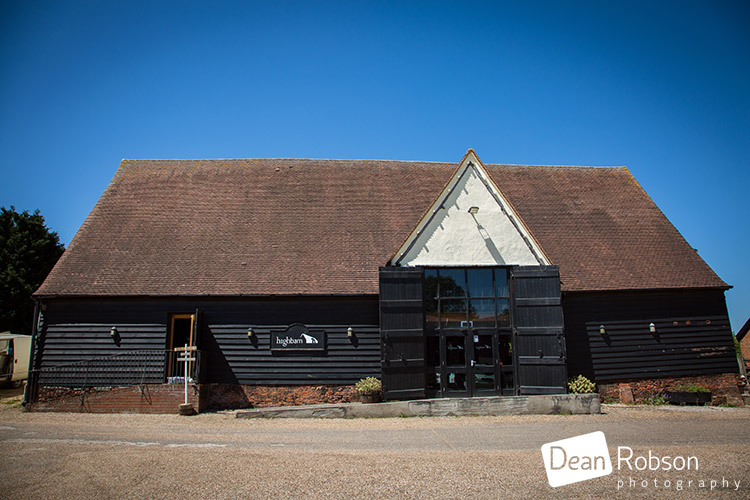 I then took the short journey to High Barn in Great Bardfield. 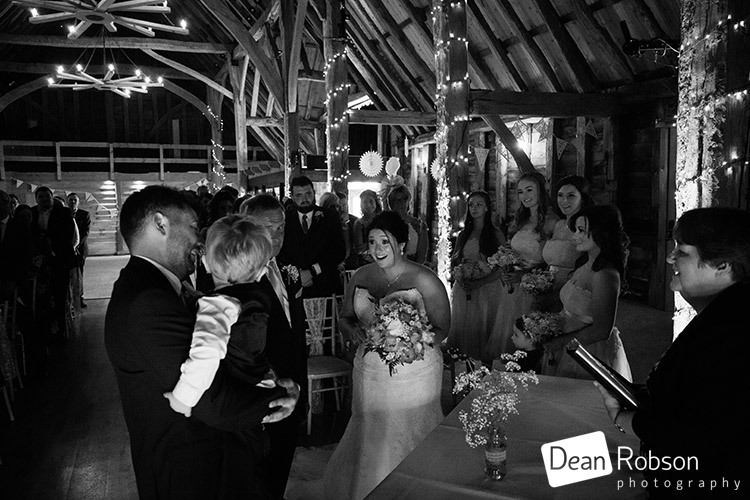 The barn has an area at the back which looks out across farm fields as well as a footpath off to the left. 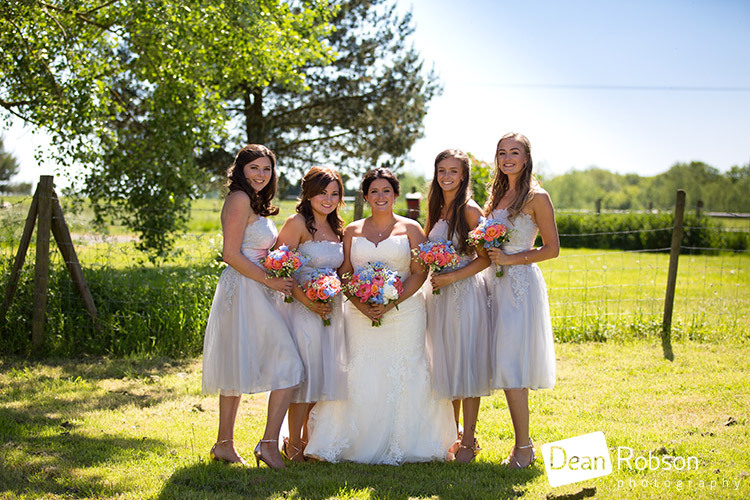 The bridal party got dressed at the venue in the loft next to the main barn. 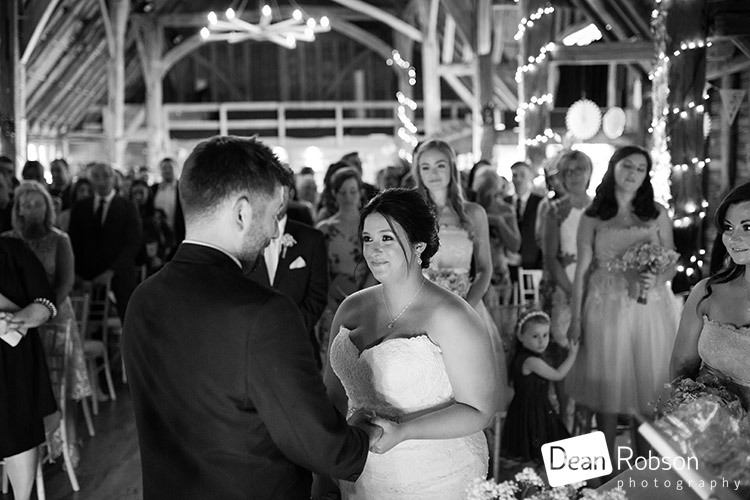 The ceremony took place in the main barn. 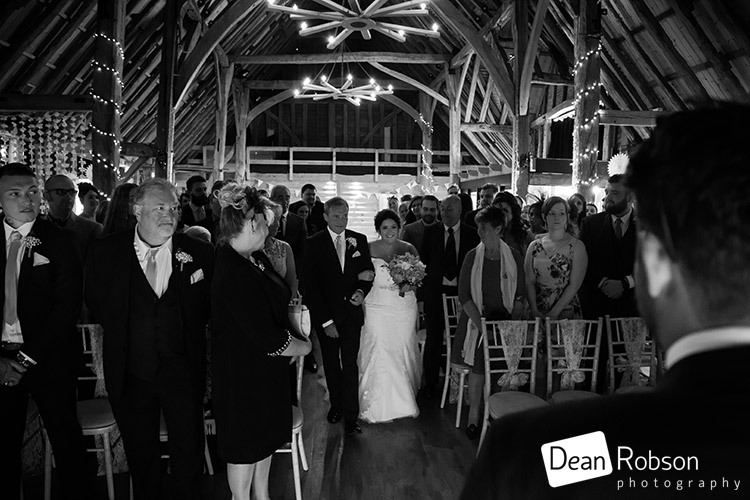 It was very dark in the barn and as I’m not allowed to use flash during the ceremony as it can be distracting I have chosen to use black and white as there was very little natural light or colour. 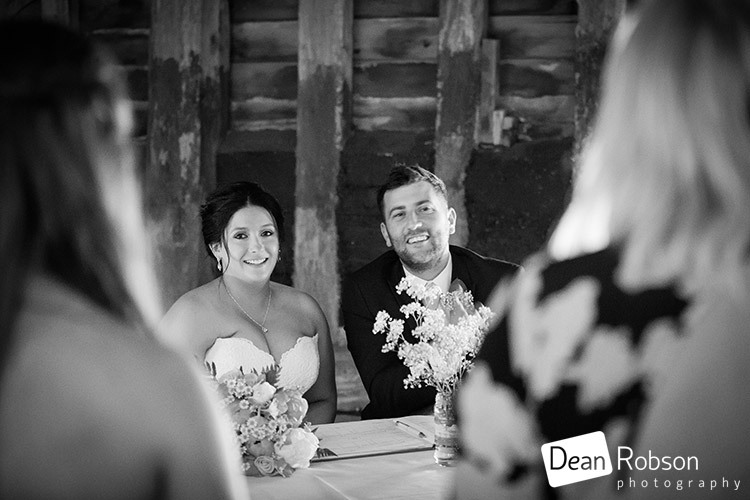 I think this adds a romantic and dramatic feel. 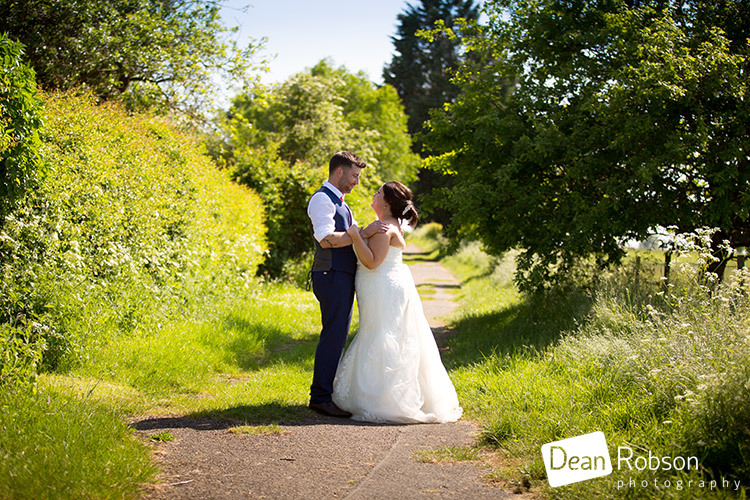 After lots of natural candids, I took a few group photographs and then took the couple for their wedding portraits. 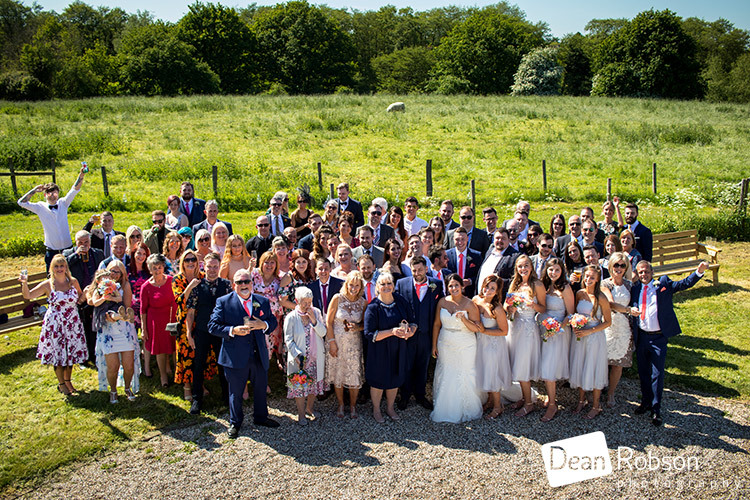 My camera on a pole technique was the only way of getting the big group shot. 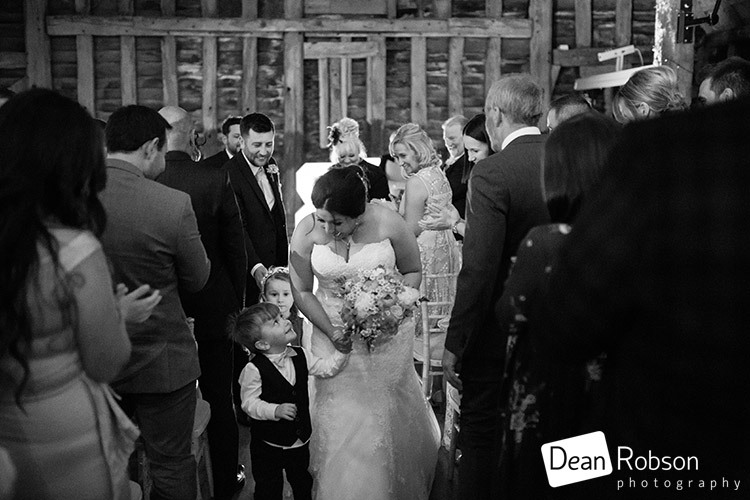 The barn had been turned around and it was time for the wedding meal followed by the speeches. 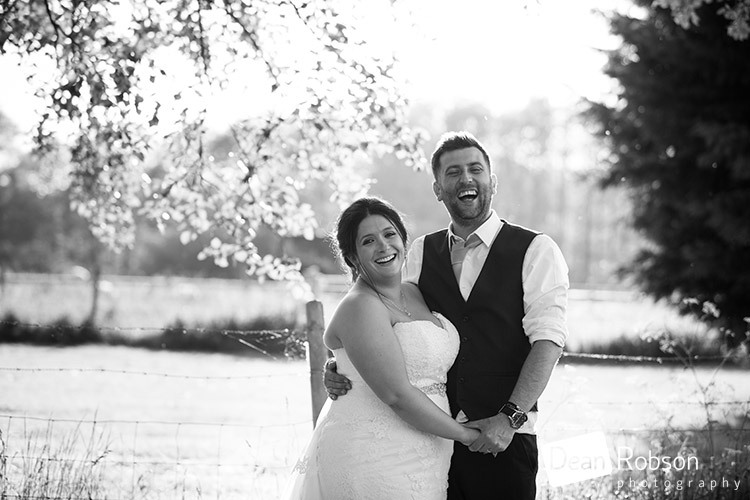 After the speeches we made use of the evening light for a couple more photographs. 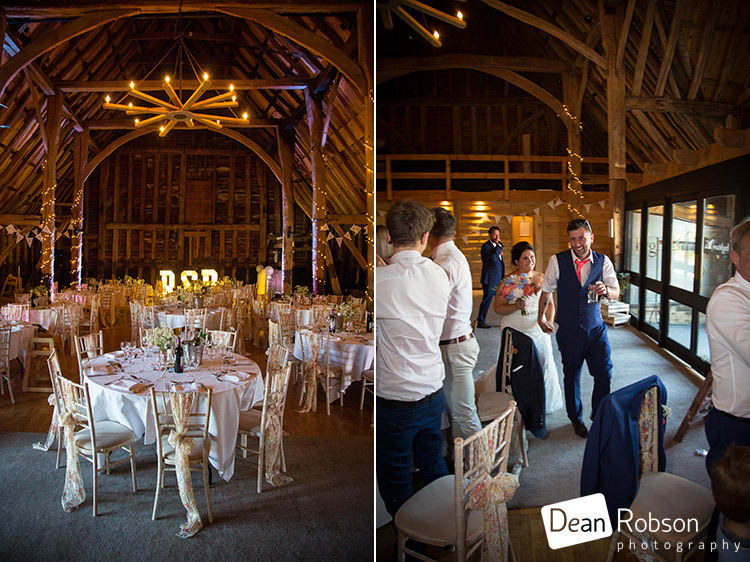 The surroundings at High Barn do give a real countryside feel to the wedding. 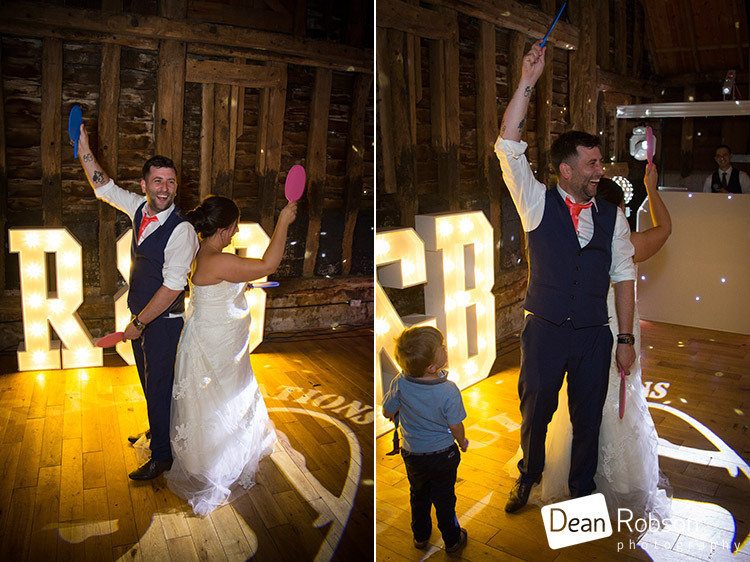 The couple then cut their cake and had their first dance as well as quick game of Mr & Mrs. 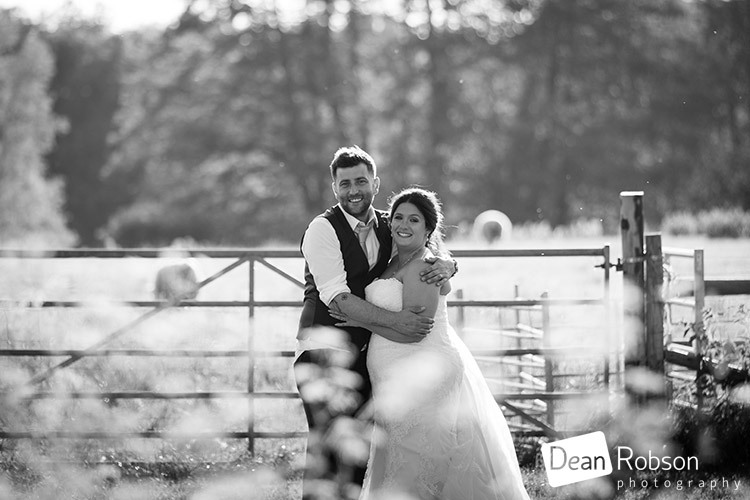 I had a great time with Rachel and Ben, and it was lovely to photograph at High Barn for the first time. 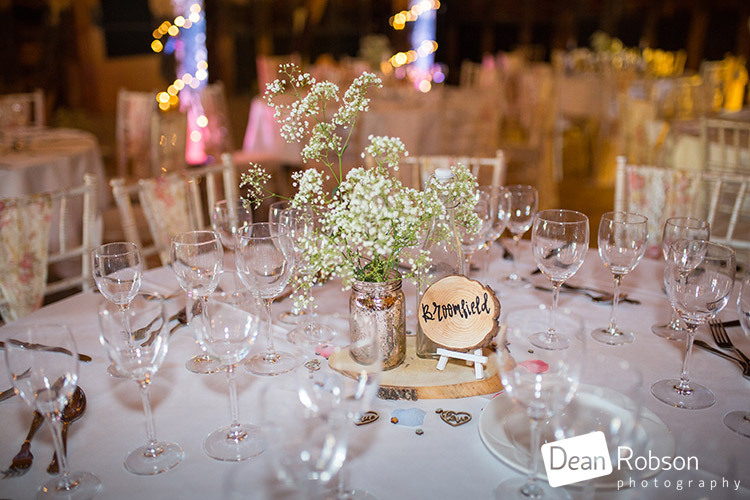 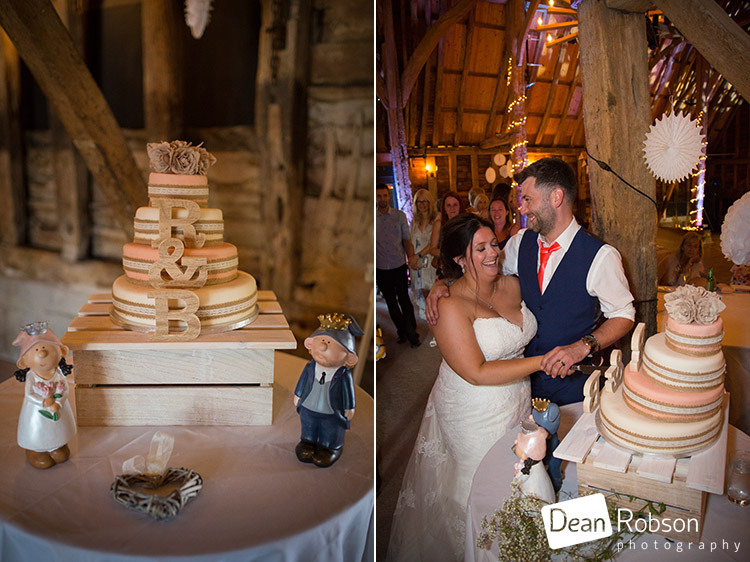 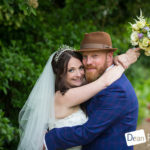 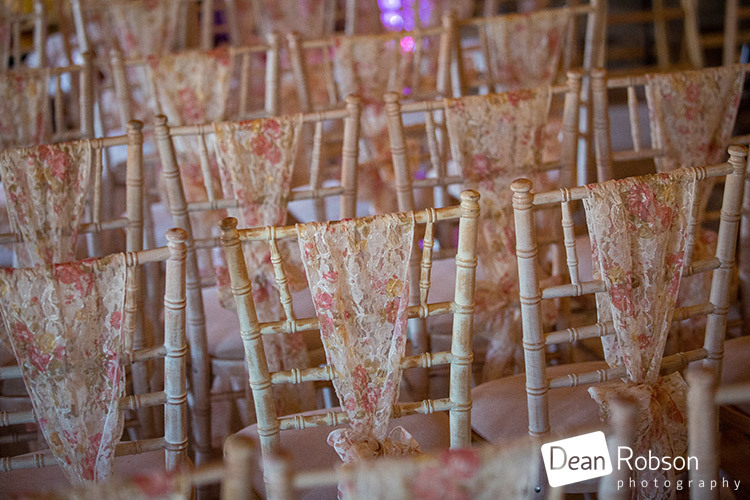 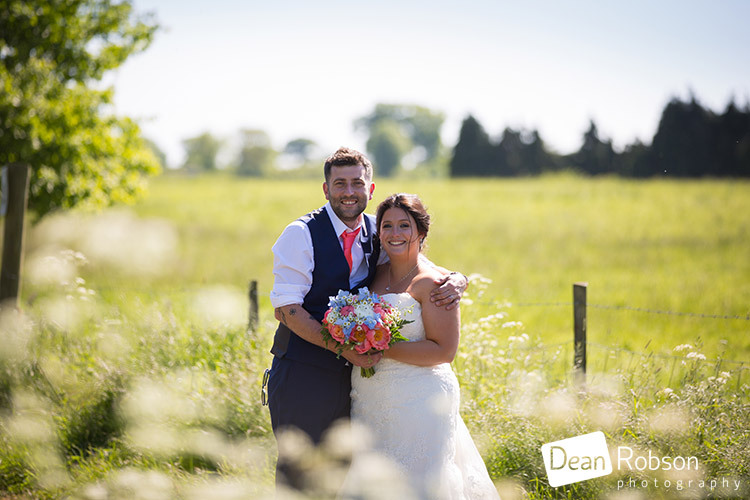 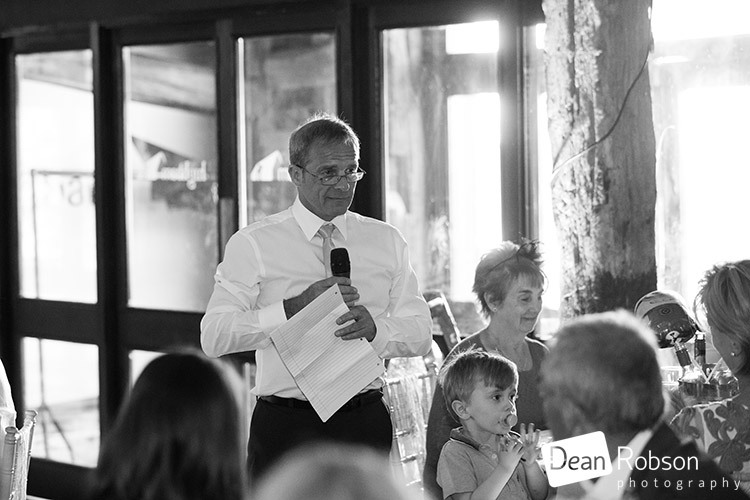 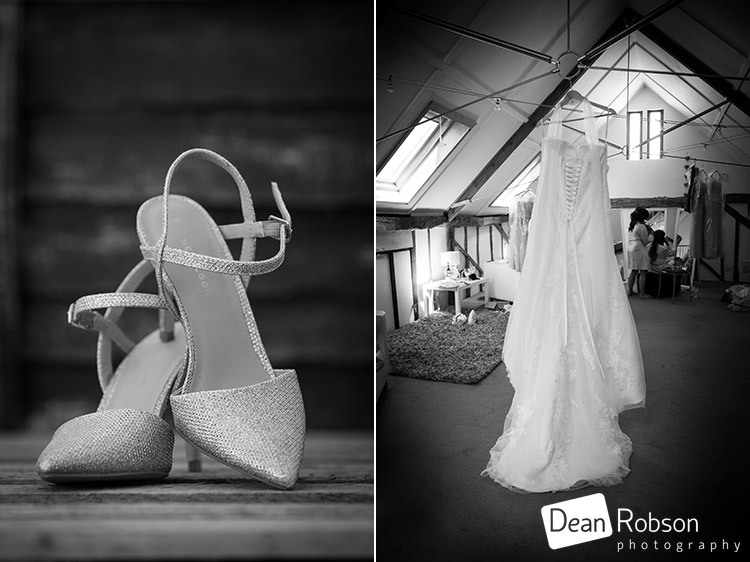 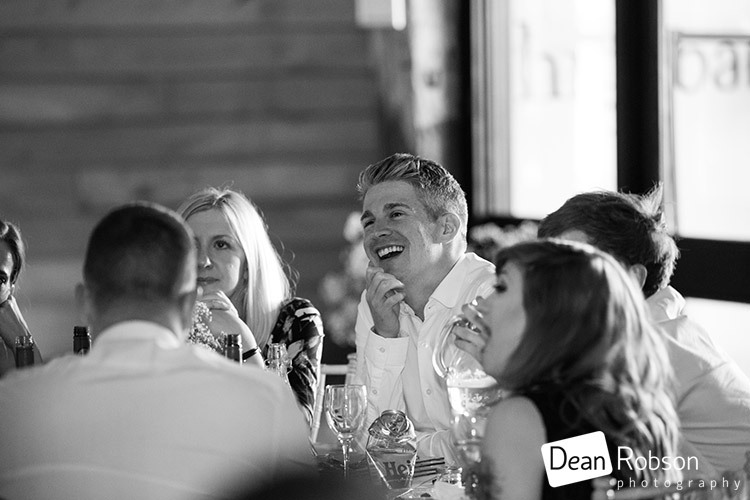 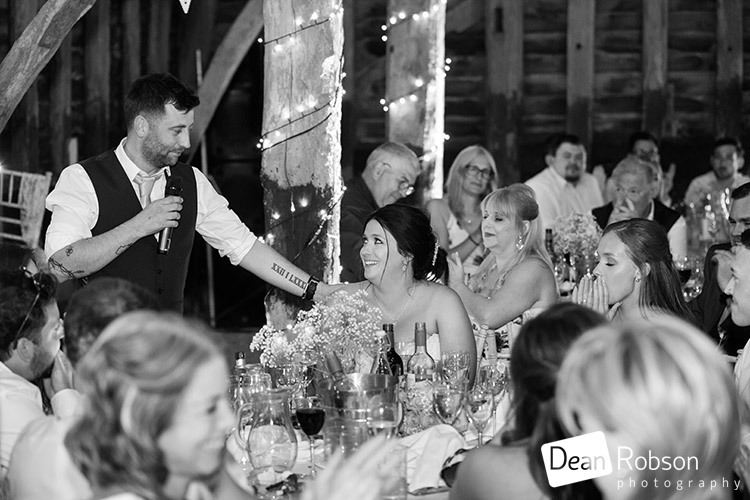 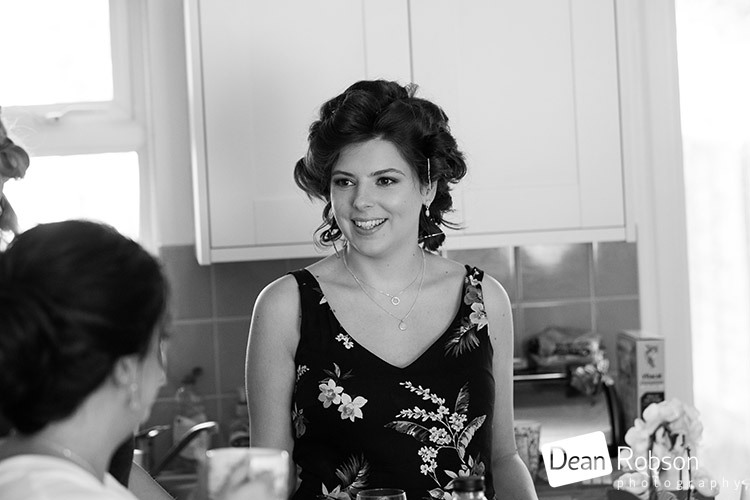 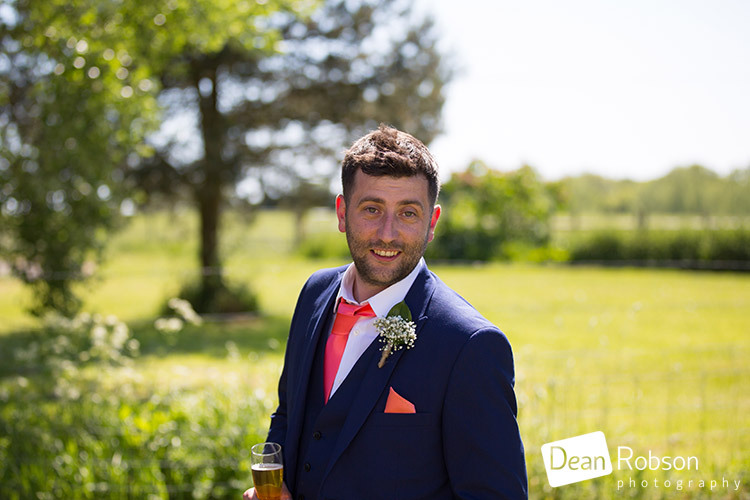 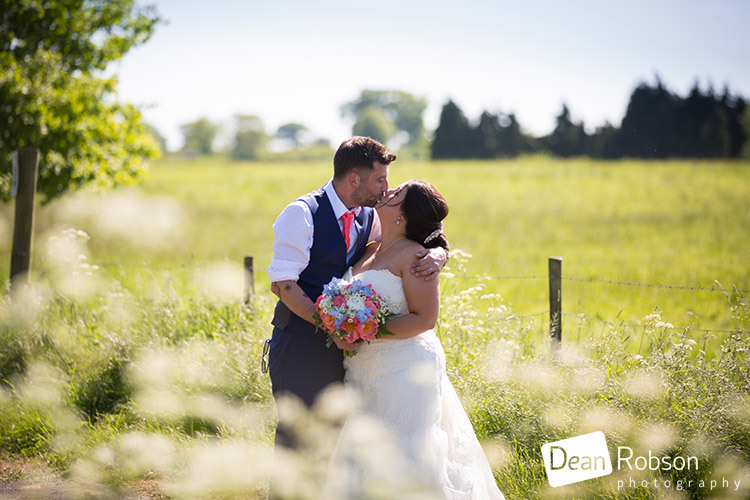 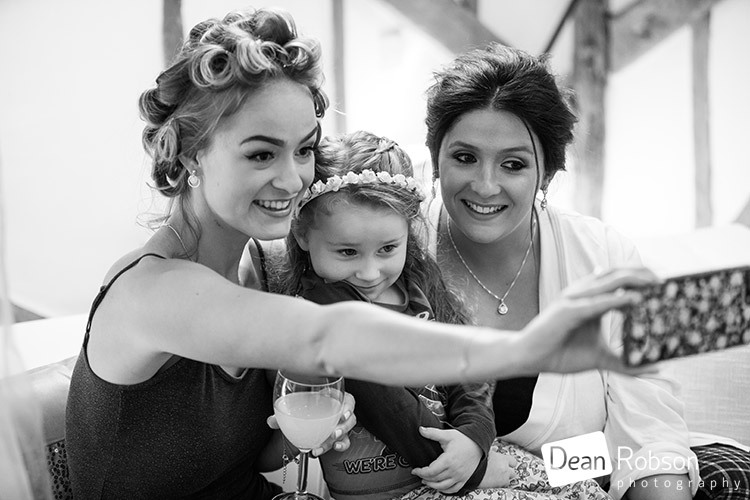 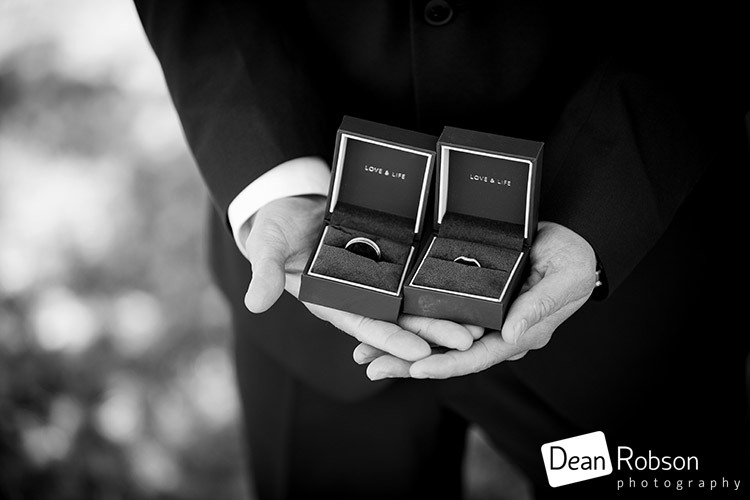 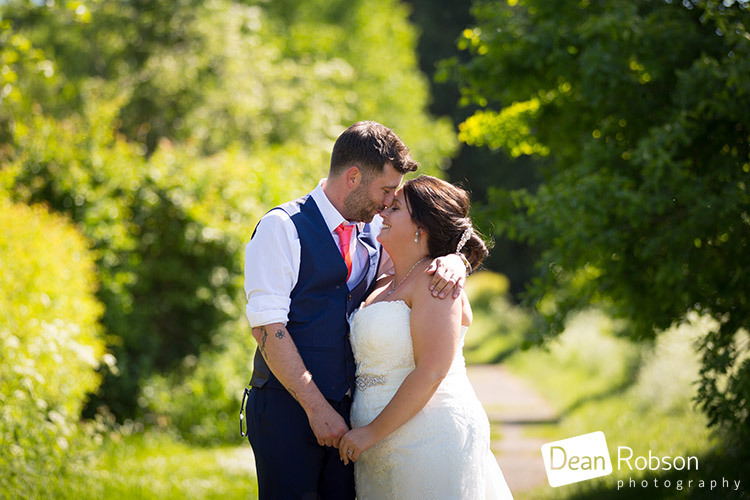 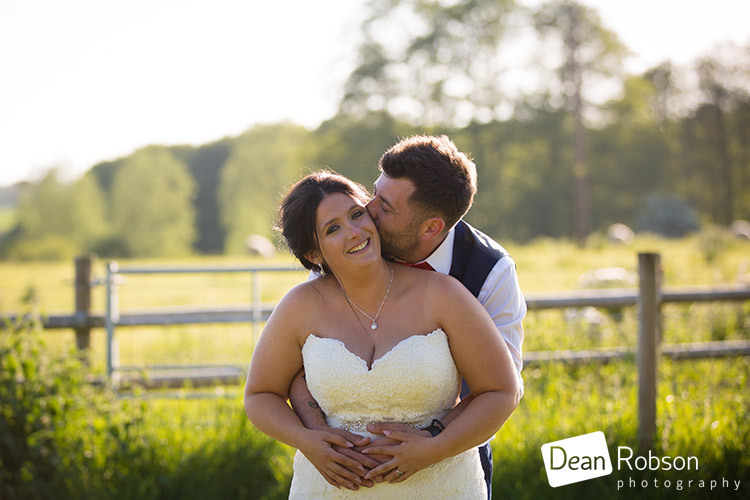 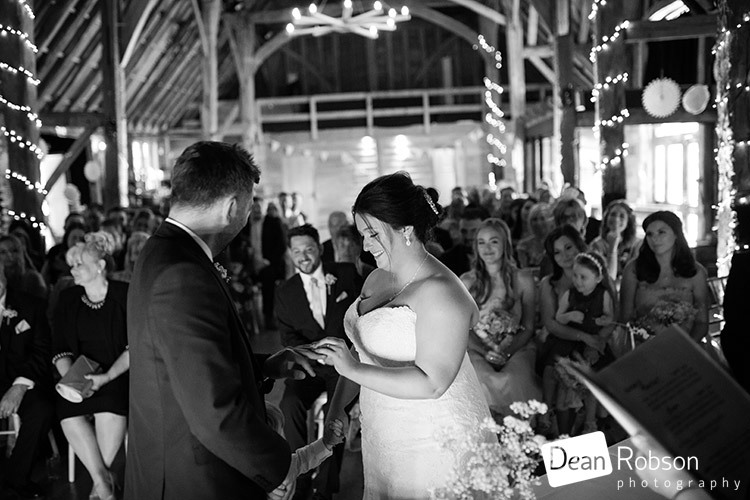 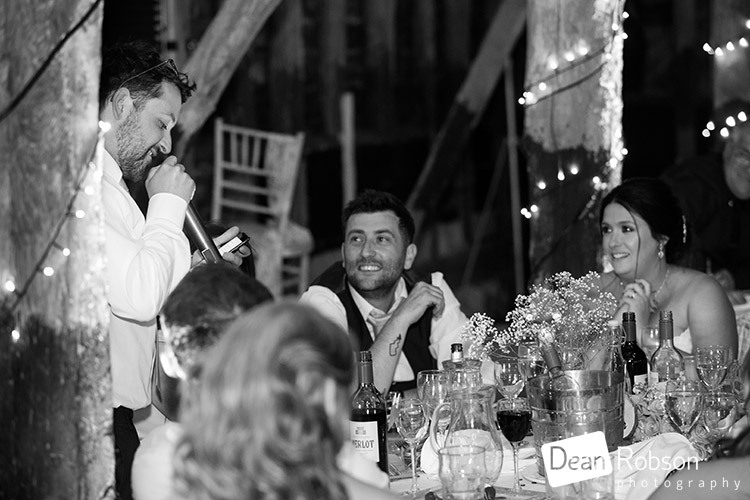 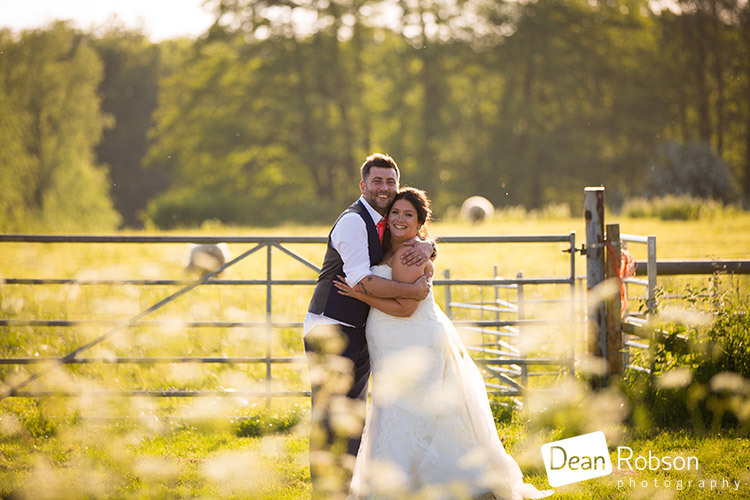 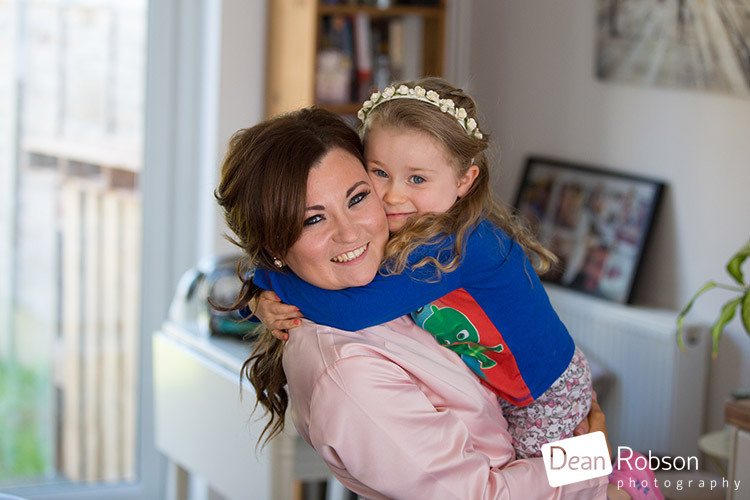 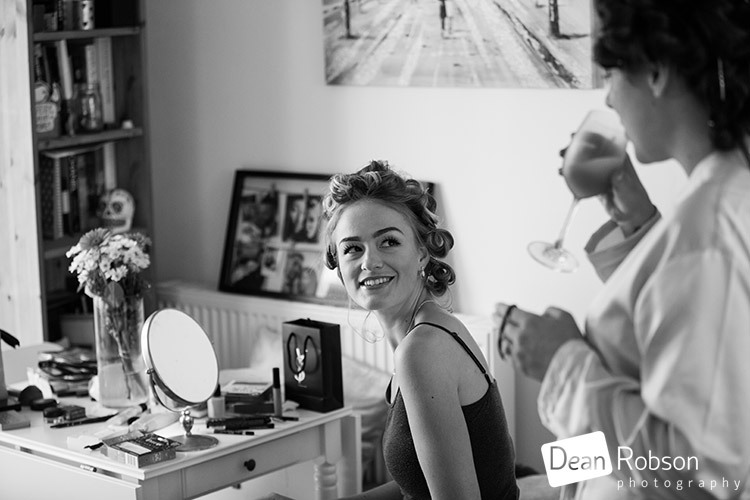 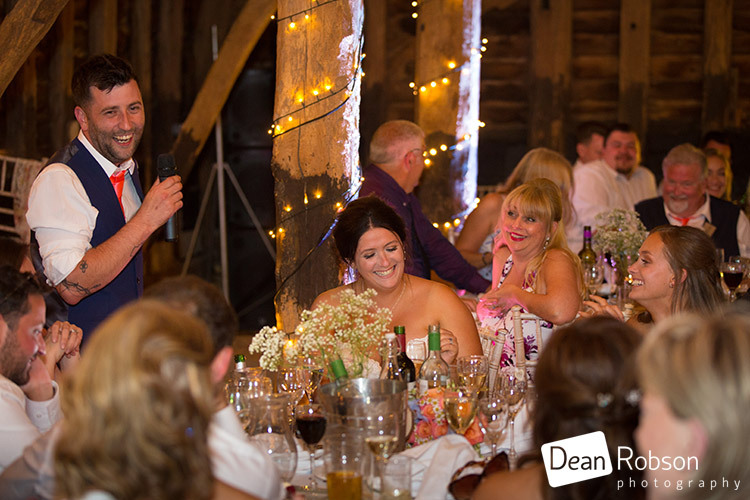 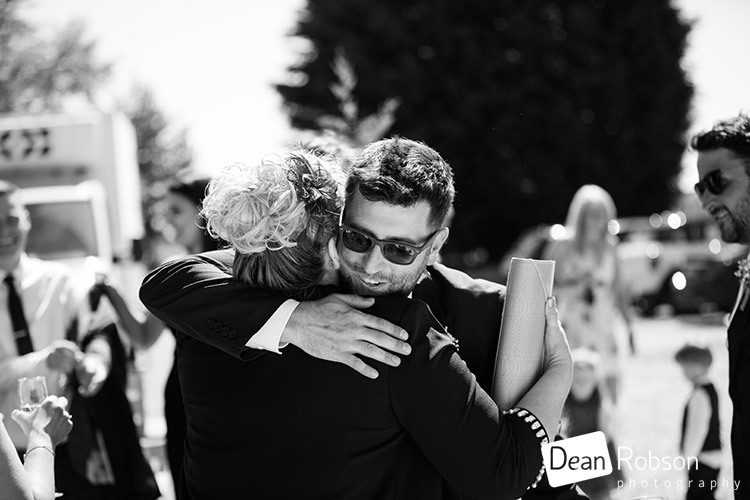 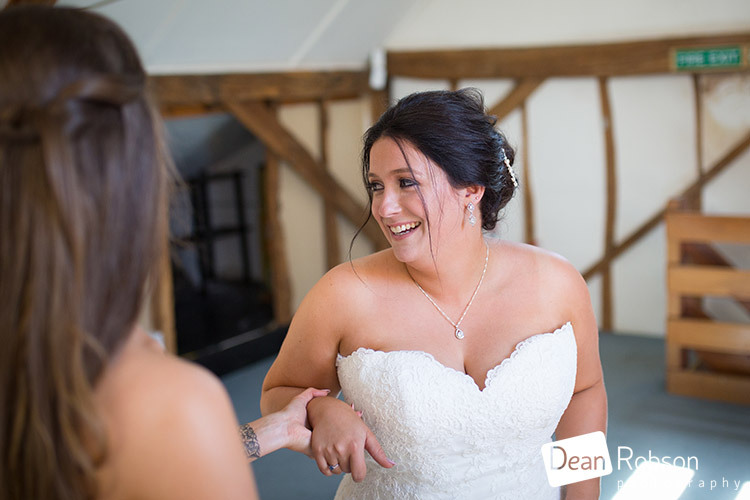 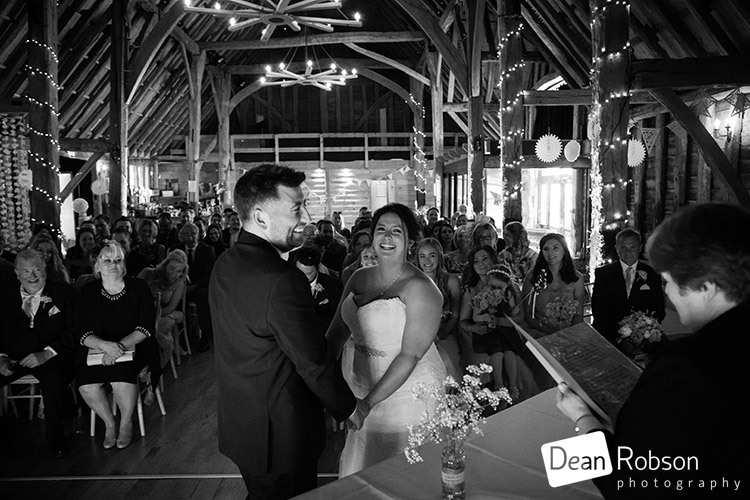 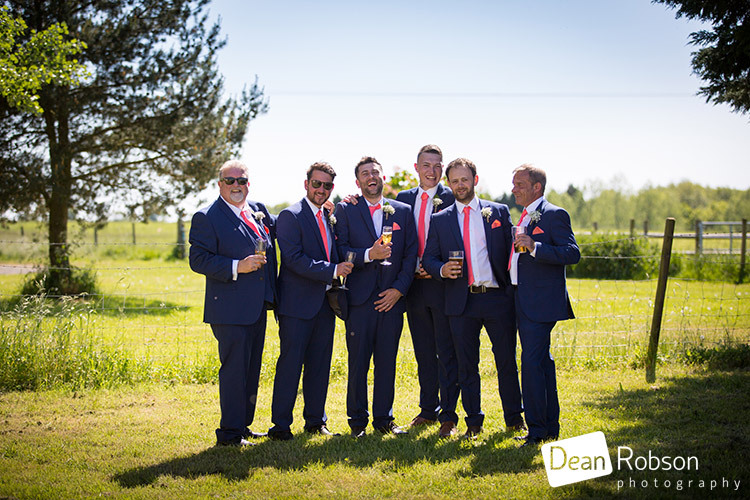 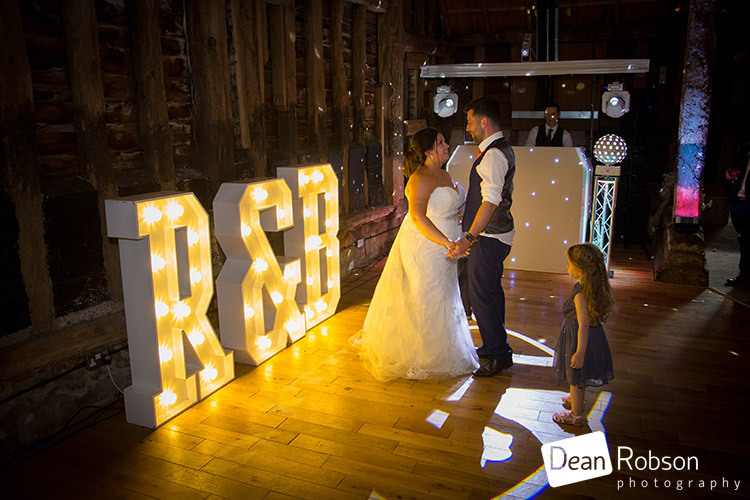 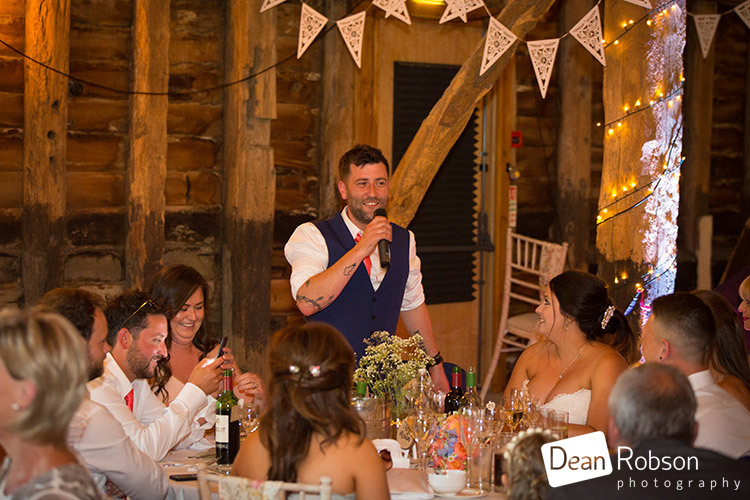 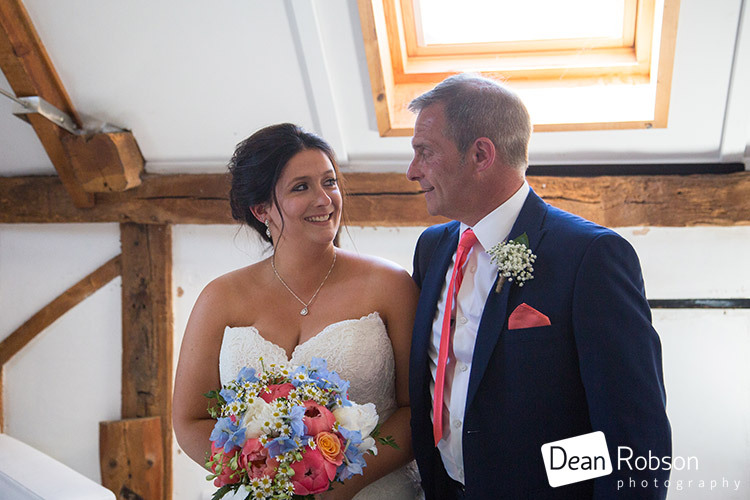 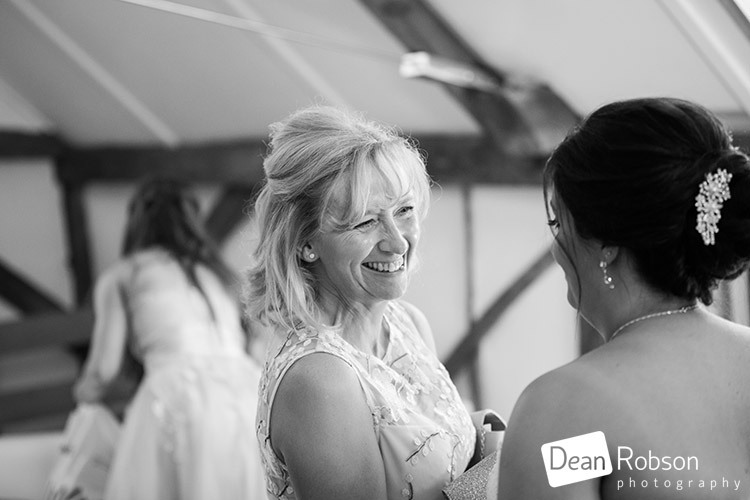 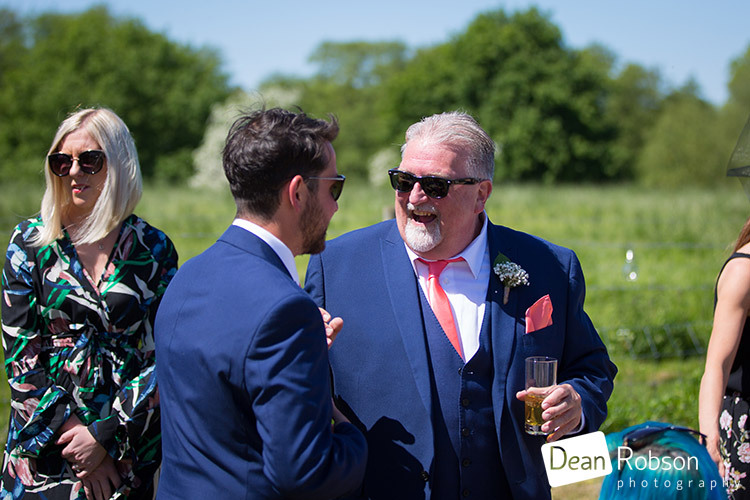 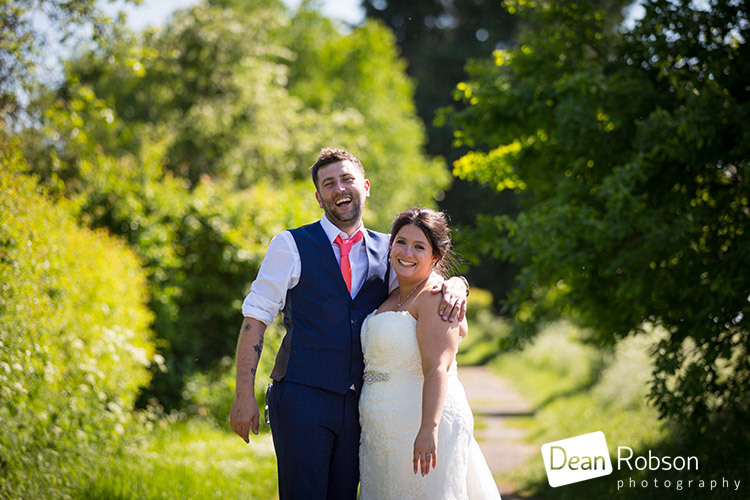 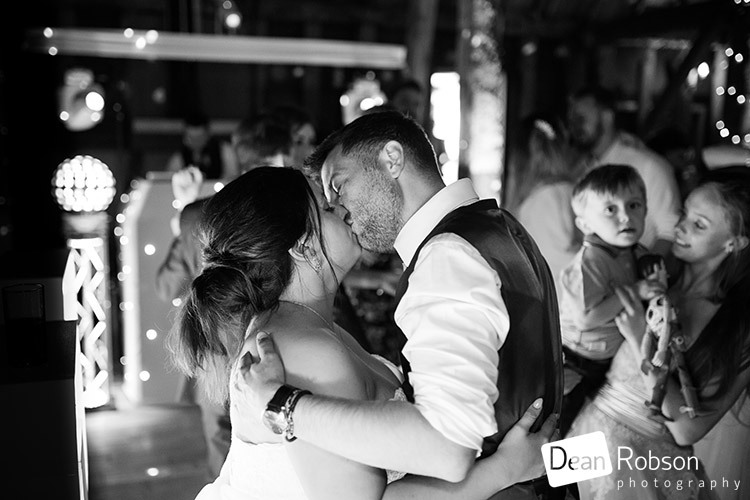 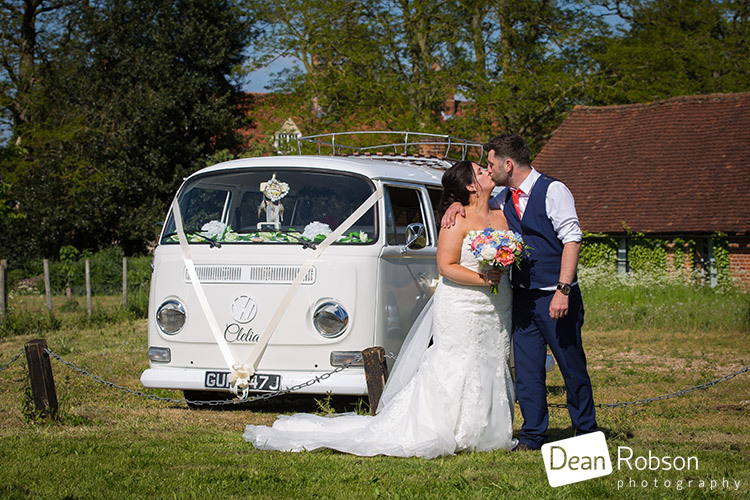 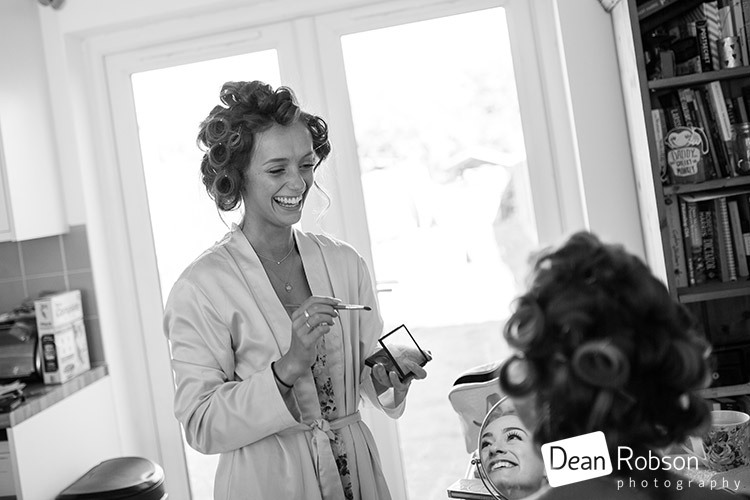 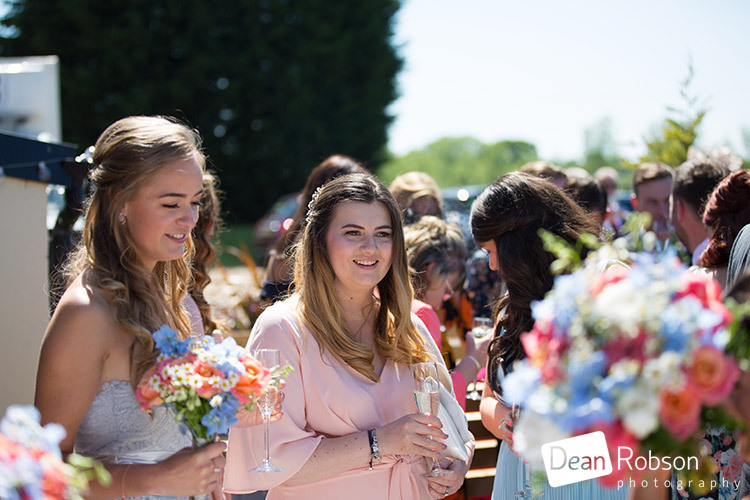 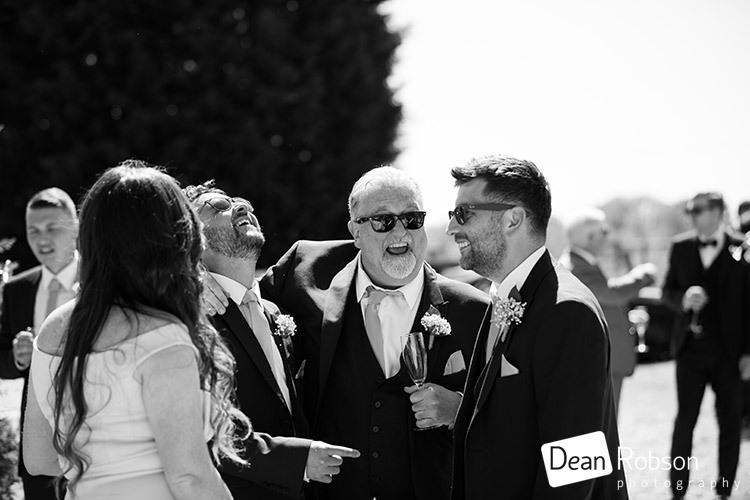 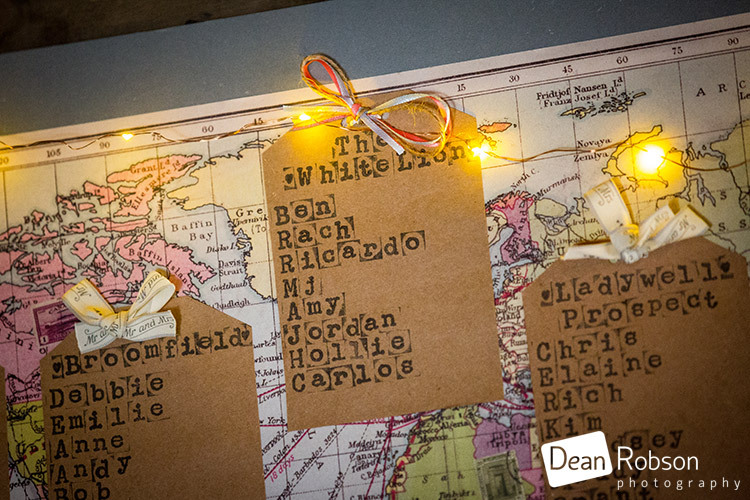 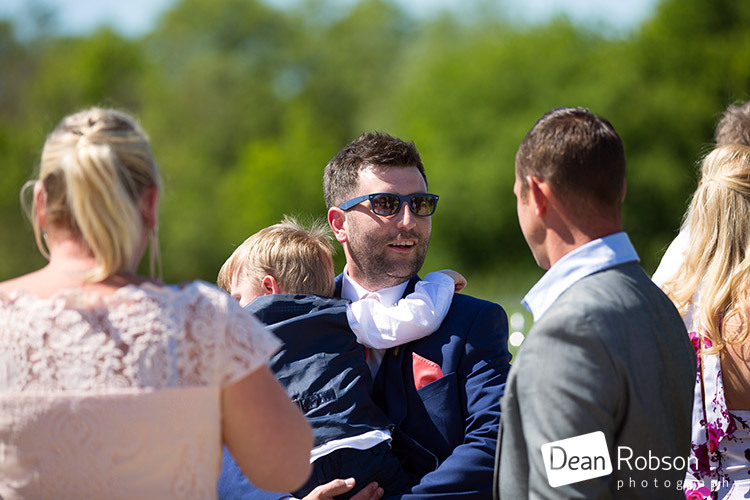 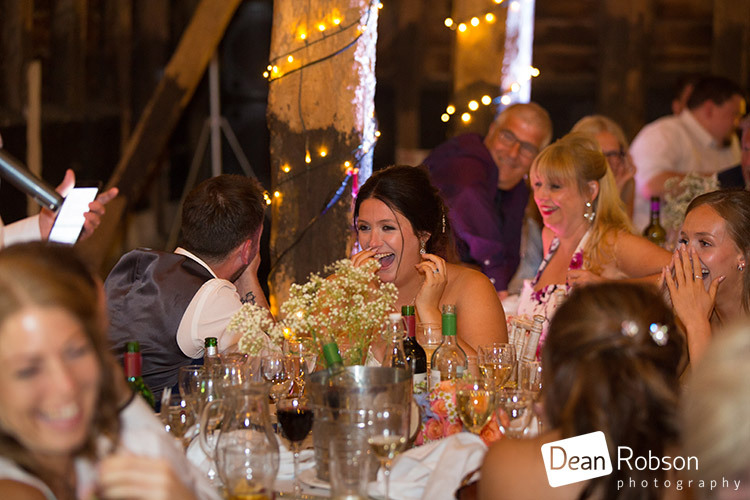 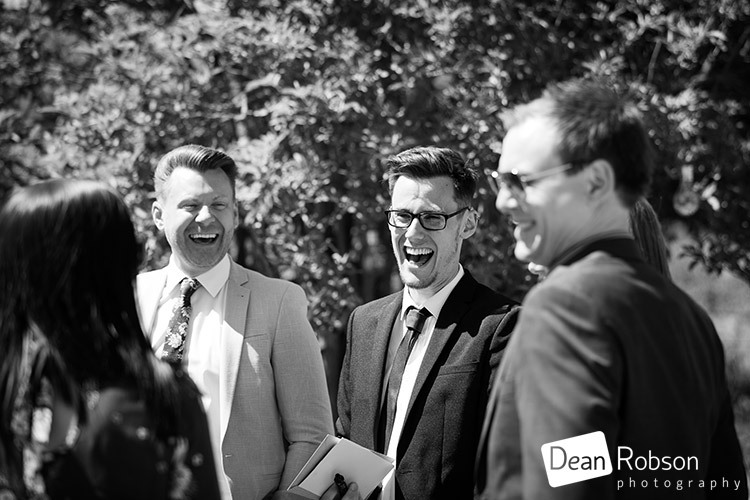 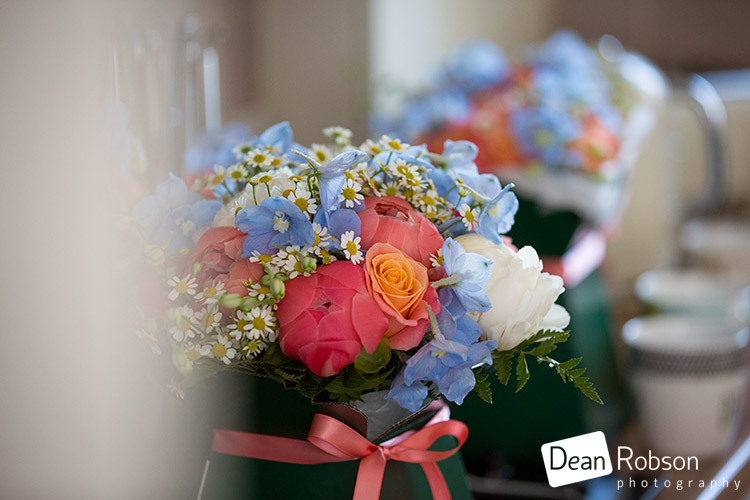 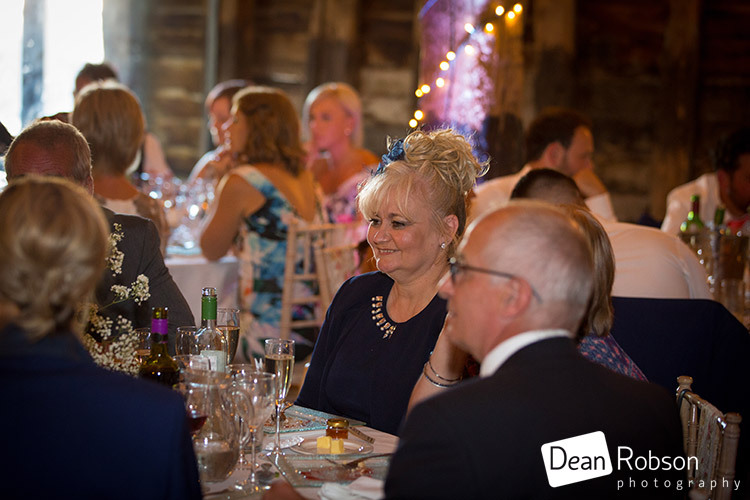 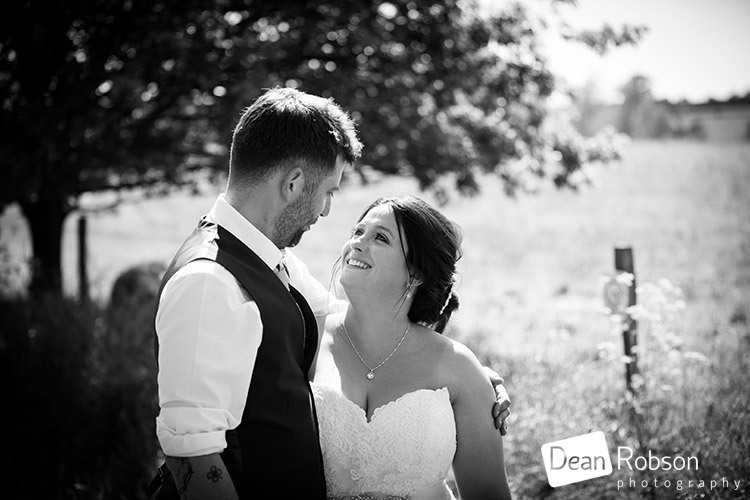 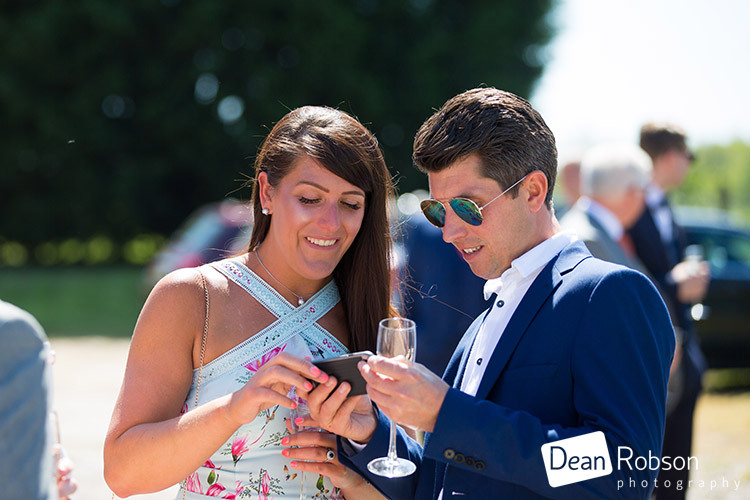 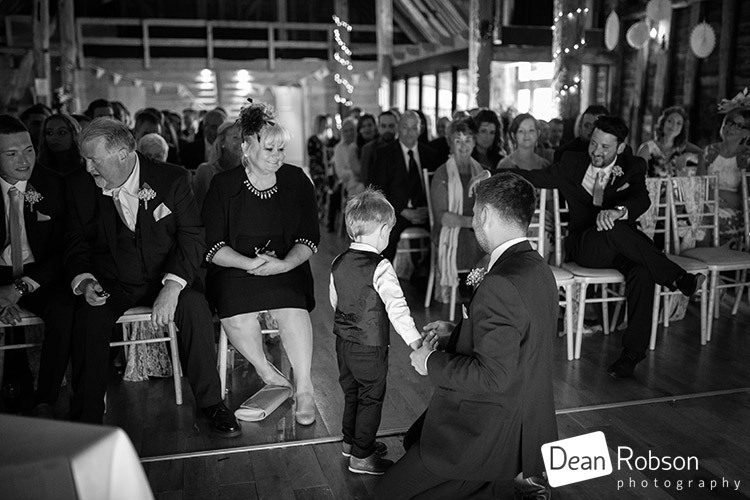 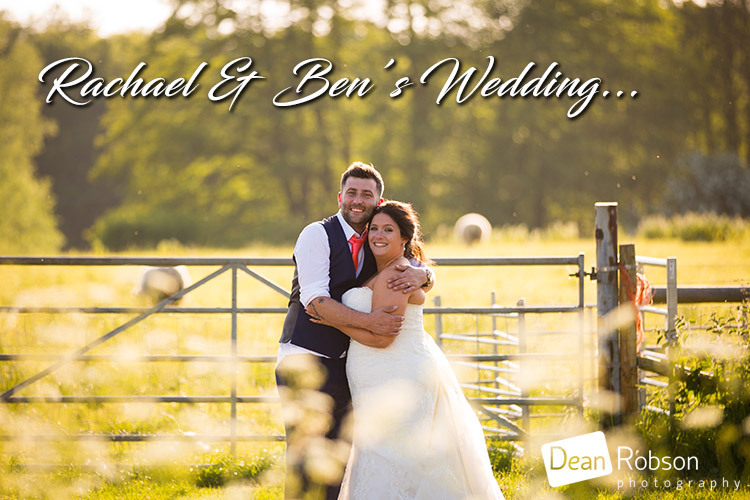 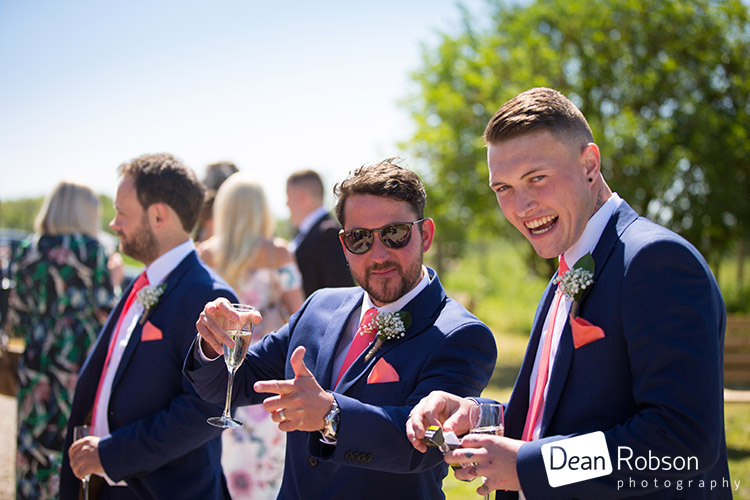 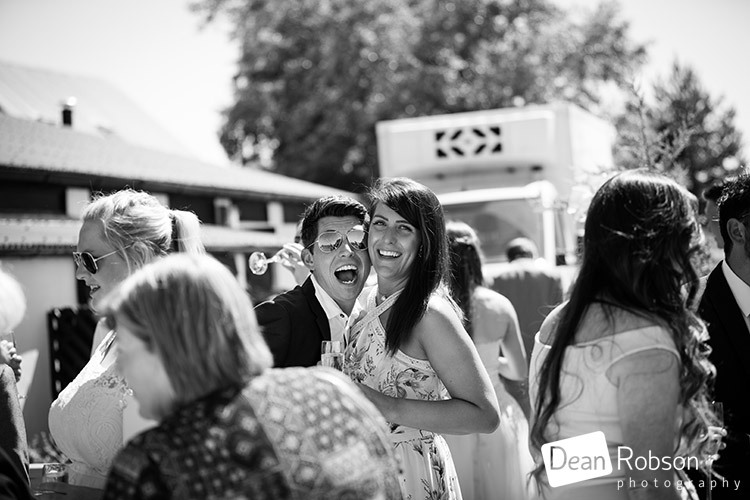 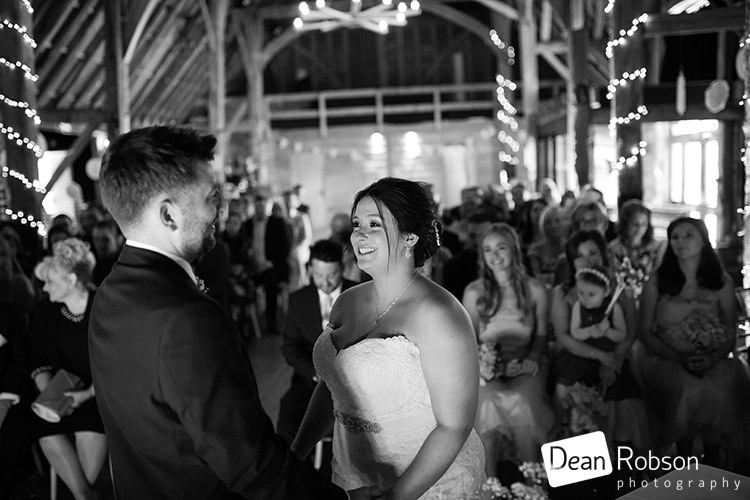 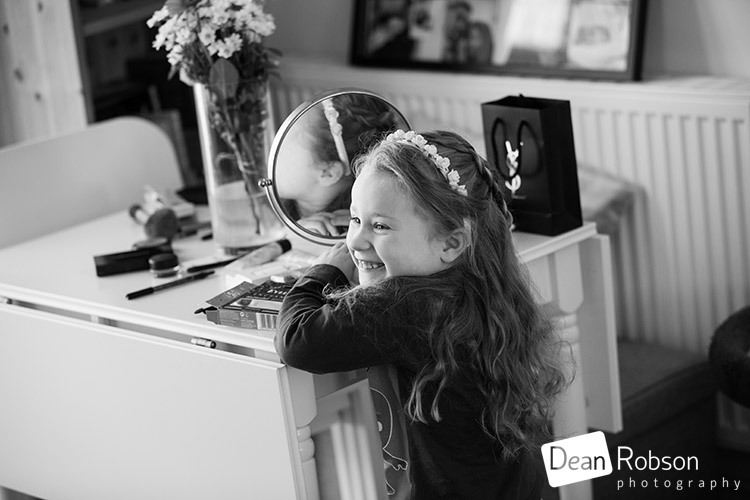 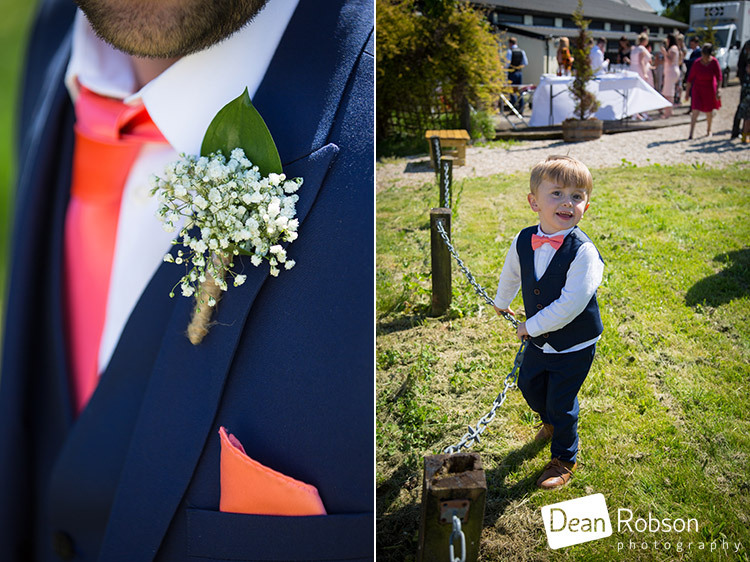 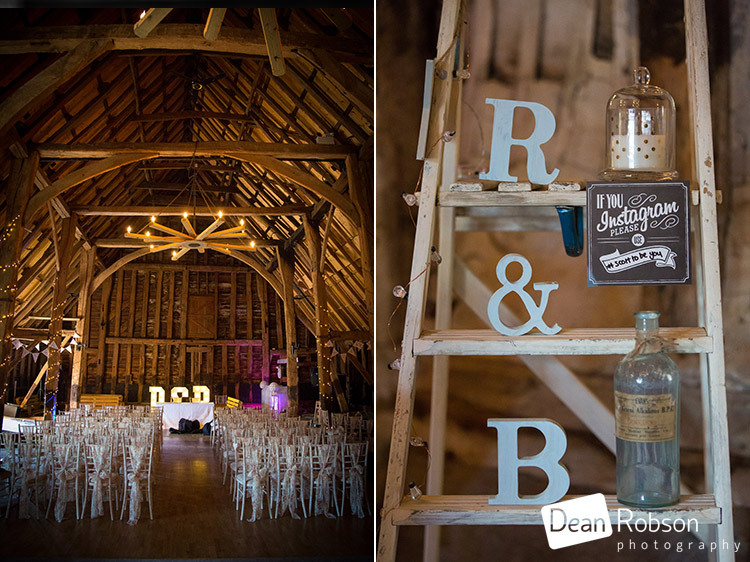 By Dean Robson (Blog feature written May 2018) – Qualified and Professional Wedding Photographer based in Sawbridgeworth – High Barn Wedding Photography Essex by Dean Robson Photography Natural Wedding Photography for Hertfordshire and Essex.